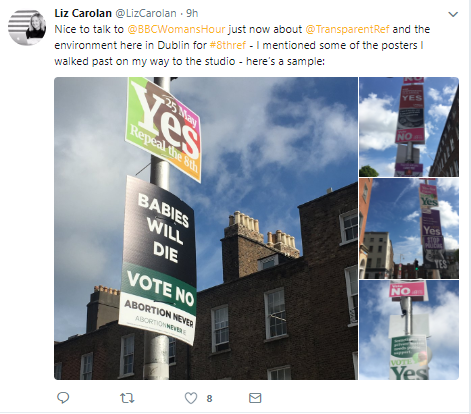 Irish abortion referendum: has the Facebook exposé killed online debate? 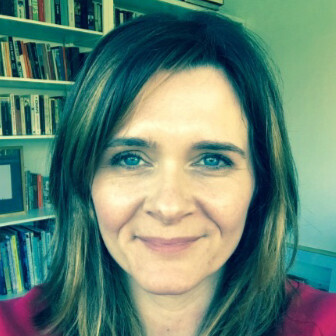 On 25 May, Ireland will vote in what must be one of the most polarising popular votes seen globally in recent years – the relaxation of the country’s abortion laws, known as the eighth amendment. Right now, there is no predicting which course the vote will take. 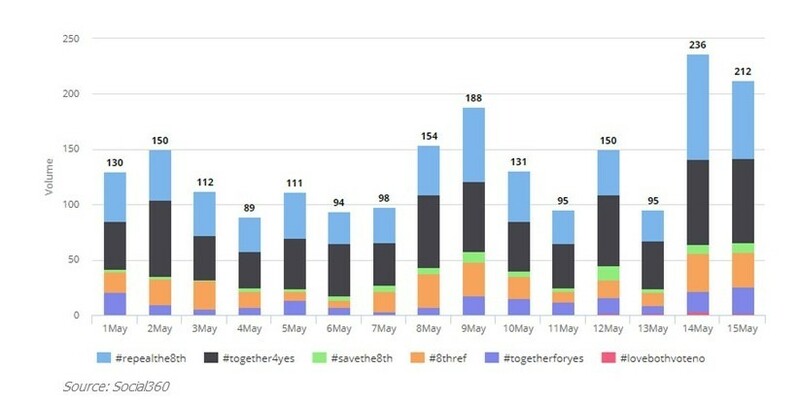 Looking at our inhouse database of global influencers, the story is somewhat different as a study of the most popular hashtags reveals overwhelming support in the past few weeks for repealing the abortion laws. It seems therefore that a large part of the debate is happening elsewhere if this data isn’t representative of the true picture. 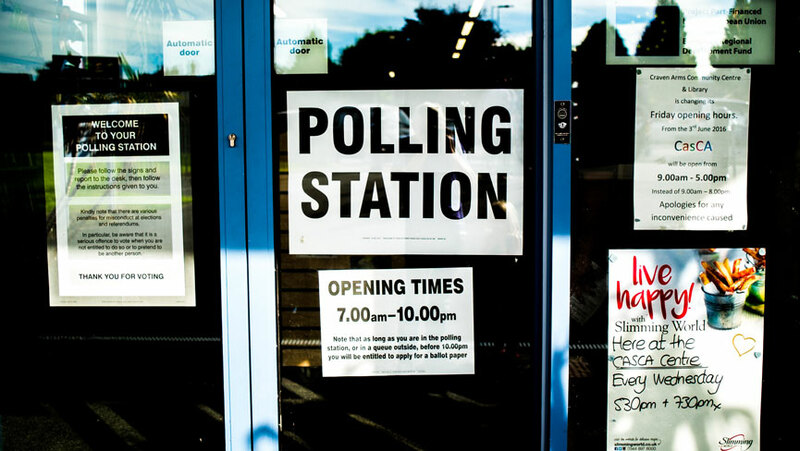 What sets this vote apart from previous referenda is that it is taking place in the dim shadows of recent revelations regarding the role of Facebook paid advertisers in the 2016 US elections and the Brexit vote. It’s occurring at a time where voters won’t be blindsided by social media posts purporting to be neutral but in reality, plugging a specific electoral outcome. And herein lies the challenge for the modern-day voter. Still bombarded by online noise, it’s no longer obvious who is presenting the facts, and how accurate these facts are. Google anything related to the Irish referendum and the first source to appear is Loveboth.ie – a site asking, “Do you know the facts?” yet clearly urging readers to “Vote No to abortion on demand.” Google has in fact stopped promoting these advertisers in Ireland, but outside that jurisdiction these paid ads are still at the top of the search screen. Such is the concern that voters deserve impartial and two-sided discussion, a pressure group has been set up to lobby for “open, truthful and respectful debate”. 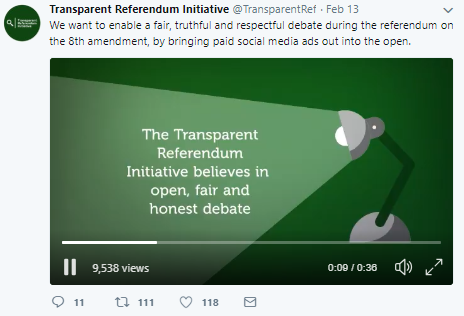 The Transparent Referendum Initiative takes no stand on the vote itself, instead campaigning for an increase in the transparency of paid online advertising in the run up to the election. They are doing this by developing an accessible database of political and influential adverts which are targeting Facebook users in Ireland ahead of the vote. Voters (and anyone else who comes across these paid ads) can add to the list with the aim of building up a dataset of sources verified as aiming to influence the outcome. In the future, what role can we see social media platforms playing during periods of electioneering? For the voter torn between two opposing arguments and wanting to use social media platforms as the means of engaging in open and informative discussion, do these assurances of verification make a difference? Has social media become a vehicle for only fear and misinformation in their eyes? Only future election discussion and related Facebook engagement will tell us. In the meantime, groups such as the Transparent Referendum Initiative are paving the way for whistleblowers wanting to hold paid advertisers to account.